Our Aluminium bi-fold windows can be installed in many environments. Common places include, Hotels, Aged Care Facilities, Cafes, Hospitals and School Offices, to name but a few. Renovators will find these types of windows great for added beauty and functionality as they add an extra dimension to both corporate and domestic living spaces. 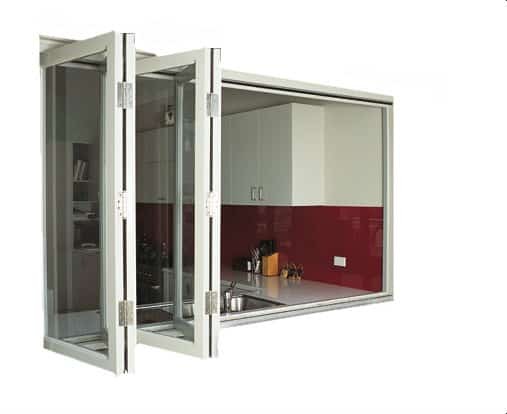 Cvdglass's modern bifold window have innovative commercial grade rolling options which assist in the installation requirements keeping costs down. Ideally suited to for an Alfresco style entrance or opening style these windows also feature concealed brackets, bolts, and most of the elements that make traditional windows look bulky and unattractive. These bi fold windows provide a perfect balance of style and sleekness as well as security and durability. Backed by a generous warranty, you simply cant go wrong when choosing your next aluminium bi fold window by CVDglass. Cvdglass's modern bifold windows have innovative commercial grade rolling options which assist in the installation requirements keeping costs down. Ideally suited to for an Alfresco style entrance or opening style these windows also feature concealed brackets, bolts, and most of the elements that make traditional windows look bulky and unattractive. These Commercial Bi Fold windows can give a cafe, shop or office environment an open view, bringing two separate spaces seamlessly together making them ideal for a commercial kitchen servery window to an office sitting room or a corporate outdoor entertaining space. Entertain your business guests or family members through a CVDglass bespoke aluminium bi-fold window today . .
We incorporate uniquely styled sash frame systems, using an industrial grade strengthened aluminium hinge, providing the owner with durable, eye pleasing beautifully designed Bi Fold Windows. These windows enable a lot of light to illuminate an office or corporate room. Furthermore, they let natural air into your space to flow freely saving you on extra energy bills resulting from the use of fans and air conditioners, providing you with comfort during those hot times during the year. 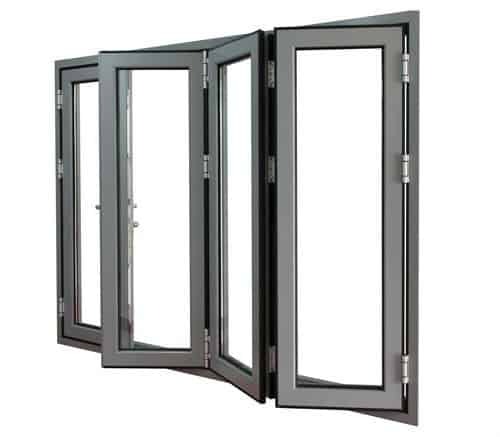 These bi fold windows provide a perfect balance of style and sleekness as well as security and durability. Backed by a generous warranty, you simply cant go wrong when choosing your next aluminium bi fold window by CVDglass .